Missouri used to provide free radon testing kits to any resident who requested them, anytime they wanted them; unfortunately, that is no longer the case, but that doesn’t mean you can’t quickly and easily test your own with an inexpensive test kit you order online. 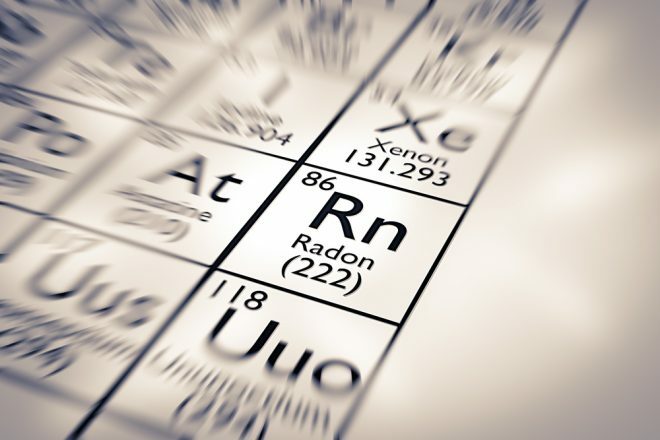 To inform the public and to raise awareness of the dangers of radon, the Environmental Protection Agency provides information about radon’s potentially deadly effects: primarily from lung cancer. Radon, a colorless, odorless gas, is the result of decomposing uranium. Its presence is not geologically predictable; you could have high levels of radon in your home or office while your next-door neighbor has no detectable levels. While the EPA recommends taking steps to mitigate levels at or above 4 pCi/L, studies show there are no safe radon levels. Testing is the only way to detect its presence in your home, business, or school. Until recently, most tests are done during when buildings are closed to protect against winter weather. As air conditioning has become more widespread, experts now recommend testing during summer and fall months as well. Several states offer free tests: Alabama, Pennsylvania, Kentucky, Minnesota, Tennessee, Texas, and Idaho among them. Missouri only distributes free home test kits Oct. 1 through March 31. Short and long-term do-it-yourself tests are available from online providers, such as Amazon, and from many DIY stores. Test kits are also available from the American Lung Association. Radon test kits are inexpensive, $25 on average. Short-term radon tests take 2 – 3 days. Follow instructions carefully, you’ll need to control access to a closed room at the lowest level of your house. Once the test is completed, you mail it off to the lab (included in the price of the kit) for results. Long-term home radon kits work the same way; be sure to follow instructions carefully. Consumer Reports ranked short and long-term test kits by model, price, accuracy, and reliability. Prices ranged from $10 to $130. Their findings agreed with most expert advice: long-term radon tests (90 days) tend to provide a better picture of the radon levels in your building. Because radon levels fluctuate from day-to-day, as well as seasonally, the longer you test, the more reliable your results. If your DIY testing at home or your office reveals radon levels between 2 and 4 pCi/L, consult a radon mitigation specialist. Nationally certified professionals at The Radon Co. can advise you and verify your test results, often for as little as $150, depending on where you live. They can also provide you with radon mitigation services tailored to your budget. For more information about radon, its effects, testing, and mitigation, visit our website, or call us at (417) 597-9662.